Set "Hardware Prefetcher = Disabled" in BIOS. 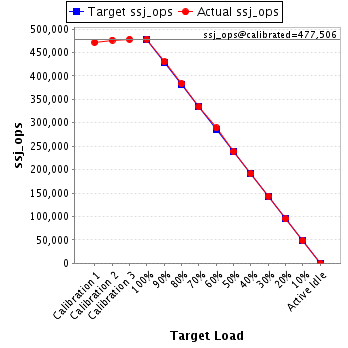 Set "Adjacent Cache Line Prefetch = Disabled" in BIOS. Set "DCU Streamer Prefetcher = Disabled" in BIOS. Set "ASPM Support = Auto" in BIOS. Set "Turbo Mode = Disabled" in BIOS. Set "DMI Control = Gen1" in BIOS. Set "Intel Virtualization Technology = Disabled" in BIOS. Set "LAN 2 Controller = Disabled" in BIOS. Set "Turn off hard disk after = 1 Minute" in OS. Benchmark was started via Windows Remote Desktop Connection. Each JVM instance was affinitized to two logical processors. 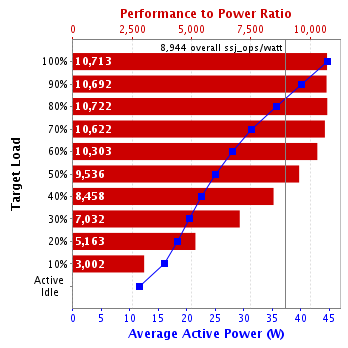 SPECpower_ssj.props input.load_level.number_warehouses set to 8 due to a known inconsistency in processor reporting with this Java version.